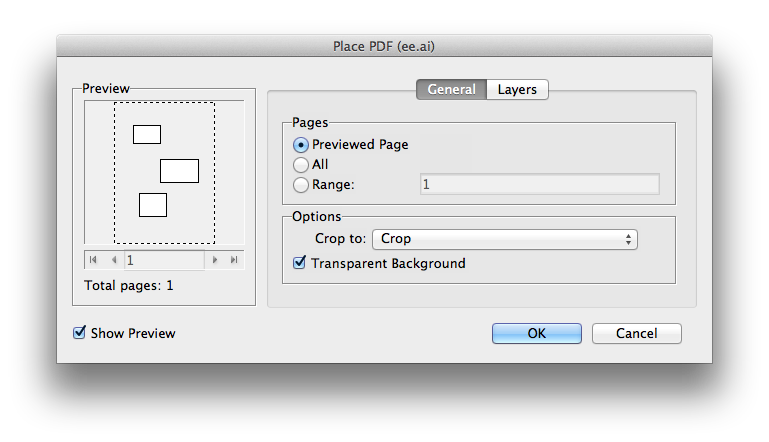 When placing a *.ai in InDesign, InDesign auto-crops the frame if part of the Illustrator artboard is empty. Even if I outline the Illustrator artboard with a no-stroke, no-fill rectangle, InDesign will lop off the part where it sees no ink. Is there a way to have InDesign respect the Illustrator artboard size? Not the answer you're looking for? Browse other questions tagged adobe-illustrator adobe-indesign artboard or ask your own question. Does InDesign have an Edit Artboard-like tool, like Illustrator has? Place into InDesign and keep transparent padding / exact artboard size?